We love Worcestershire. Why? Because, amongst other things, it’s the closest rural location for us three big city boys. As soon as we cross the border into this wonderful county, all of our urban stresses seem to vanish. No more city hassles, no need to hustle, no police hassling the homies, everything is fly…but we digress. 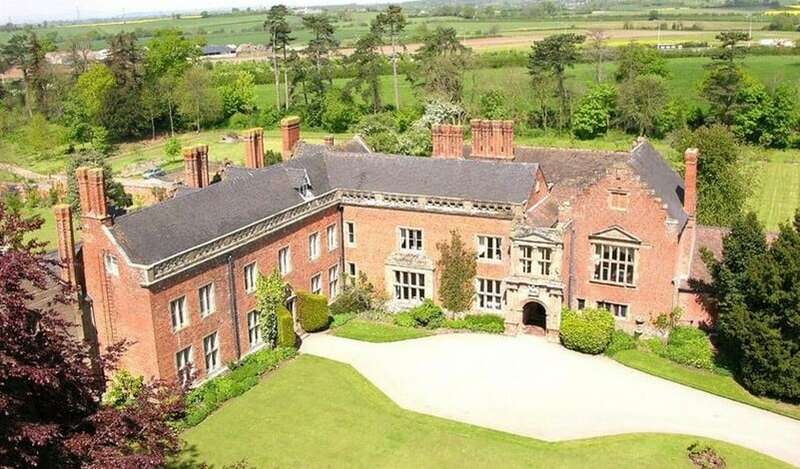 Worcestershire is the county to be in if you want to relax. Not that we had too much free time – we had Rosie and Andys’ wedding to play! 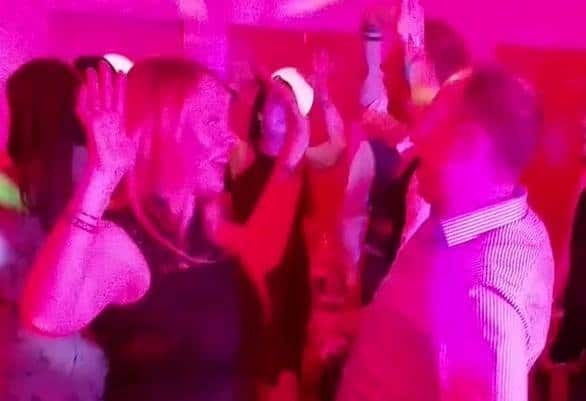 Sensibly, the good people at the Wood Norton hotel decided to host live entertainment in a separate building, away from the main accommodation hall. 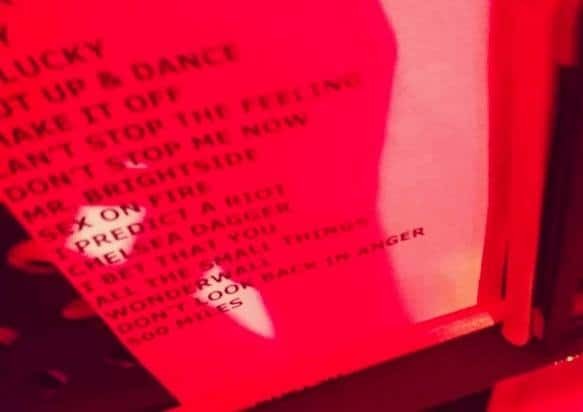 Now we’re not a loud band, but it’s always nice to be able to perform without the duty manager embarrassingly asking us to turn down at 8pm because someones’ grandfather has been trying to sleep for the last few hours. Also, having performed at the Wood Norton previously, we were familiar with the load in. So as the guests made their way back to the main building for a little bit of down time, we started loading in our equipment. If you ever get the chance to watch us do this, you’ll be impressed. We hardly say a word to each other. 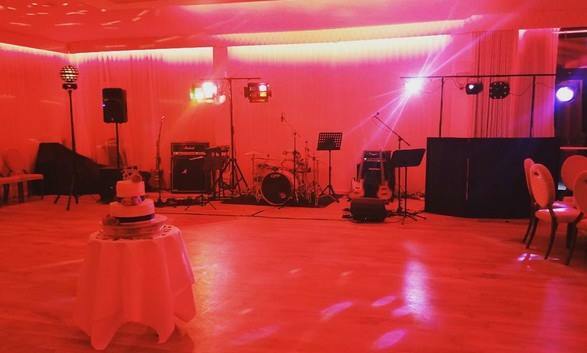 It’s not because we’ve had an argument over musical direction – we’re just concentrating on setting up our equipment as quickly as possible so bride, groom and guests don’t have to wait around for their entertainment. 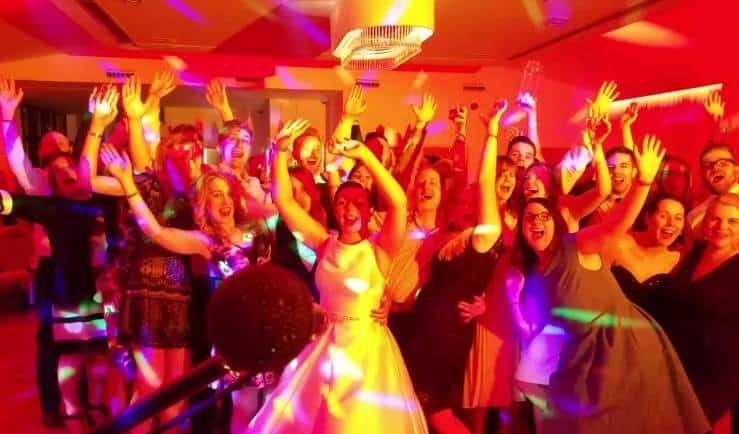 Usually we can provide DJ music (something we do as standard) from around 20 minutes after having access to the performance area, which is nice if your wedding breakfast and evening entertainment are all in one room. So, we set up, soundchecked and waited for bride, groom and guests to appear…waited some more…and more…then started to get worried. Had we made a terrible mistake? The wrong date? The wrong venue? Of course not. As professional musicians we’re extremely well organised. 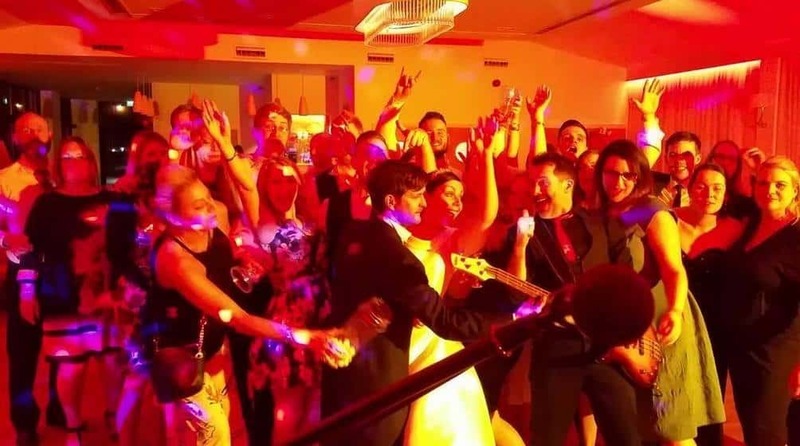 Apparently bride and groom were busy holding court in the main building, greeting friends, buying drinks, spinning yarns; they lost track of the time and almost forgot they had hired the UKs’ hardest working function band! See, what did we tell you about Worcestershire being relaxing? 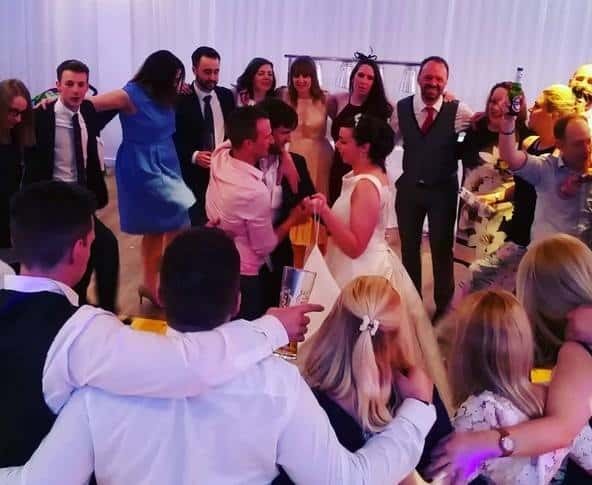 Once they had remembered, the guests traced their steps back into the performance room in a long line, all well oiled and ready for a party, which started with Rosie and Andys’ first dance, “The One” by Kodaline and performed by Hard to Handle Band. 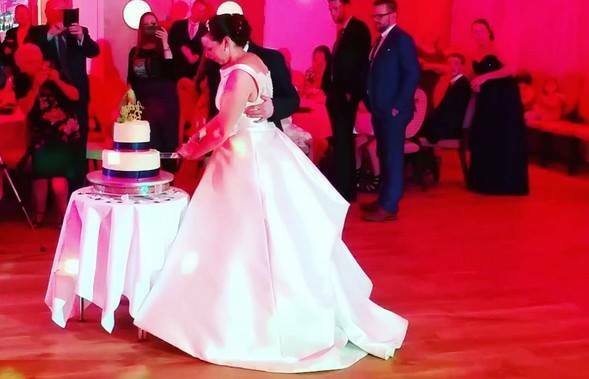 Everyone loved our rendition, including of course the bride and groom! We then ripped through two hours of dance floor friendly classic and contemporary music, all chosen by Rosie, Andy and guests (asking each guest to chose a song when returning the RSVP cards is such a good idea), including “Dancing on the ceiling”, Lionel Richie, “The power of love”, Huey Lewis and the News, “Walking on sunshine”, Katrina and the Waves, “Don’t stop the feeling”, Justin Timberlake and “Chelsea dagger”, The Fratellis. What a good selection, and when performed by superb professional musicians, it turns into a great selection!